After all those Bloody Maries, I was craving dessert, so I decided to make Jeffrey Morgenthaler’s Amaretto Sour. Since he serves it on the rocks, it’s technically an Amaretto fix, but why quibble? The basic recipe (I’m no historian, but the one I know) is 1.5 oz of Amaretto and .75 oz of lemon juice. I like to add Regan’s orange bitters, because they are light, and they add a pleasant orangey tang to the drink without killing the bright flavors from the lemon. Mr. Morgenthaler takes it in a different direction, modifying the liqueur with some cask-strength bourbon. In his recipe he uses Booker’s, and I just so happen to have some. Shake and strain over ice. Garnish with a lemon peel and brandied cherries. I’m not always in the mood for an egg white sour, but it’s a nice indulgence once in a while. The bourbon added a pleasing oaky quality to the drink, and made it much dryer, but I didn’t think it was worthy of all of the braggadocio in the blog entry. Given a choice, I would probably pick this version of the drink over the classic. I like egg white drinks, but the use of amaretto as a base makes this drink so rich that the egg is almost unwelcome. It was a very nice place to stay, and I will make it again, but even so, my quest for the perfect amaretto sour continues. Categories: classics, modern drinks | Tags: amaretto, amaretto sour, booker's, bright flavors, cask strength bourbon, egg white, food, Jeffrey Morgenthaler's Amaretto Sour, lemon, morgenthaler, orange bitters | Permalink. 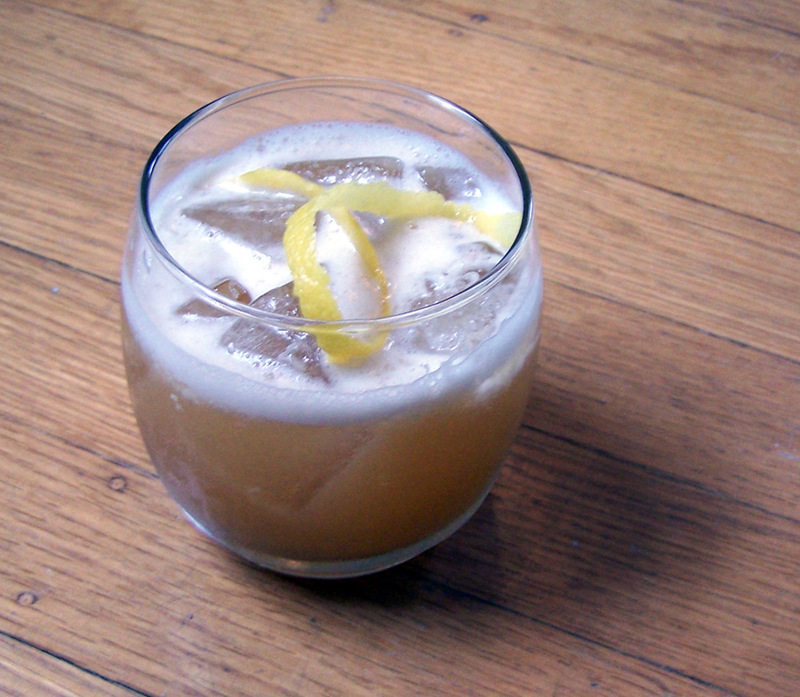 I’ve never attempted Morgenthaler’s amaretto sour recipe. It sounds pretty delicious though. It’s funny, I know a lot of bartenders just from around where I live/work who claim to make the best one out there.